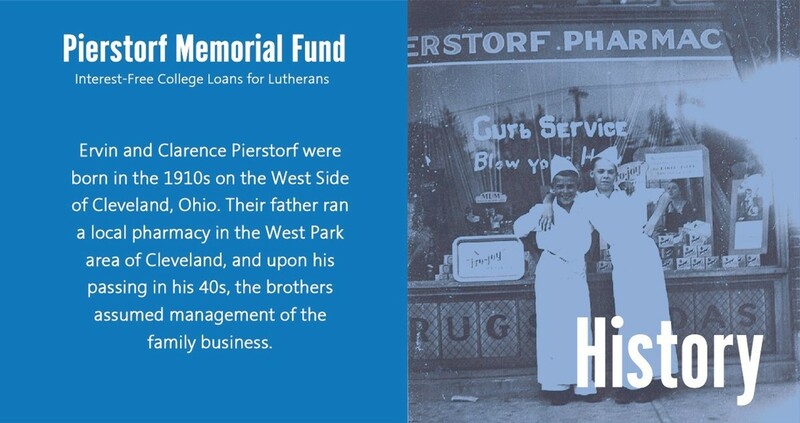 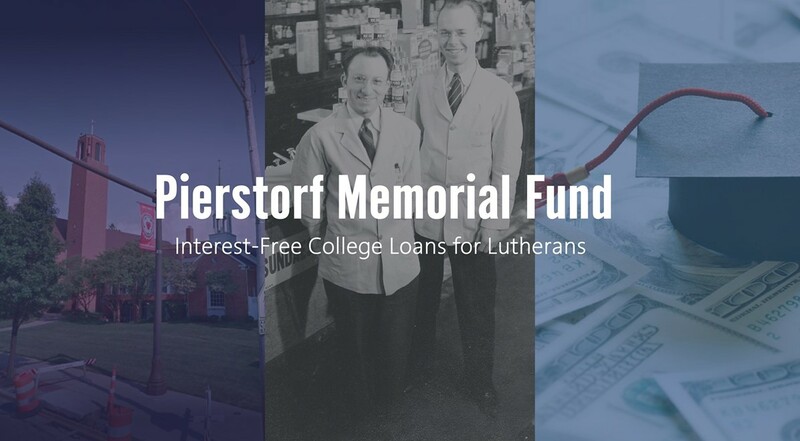 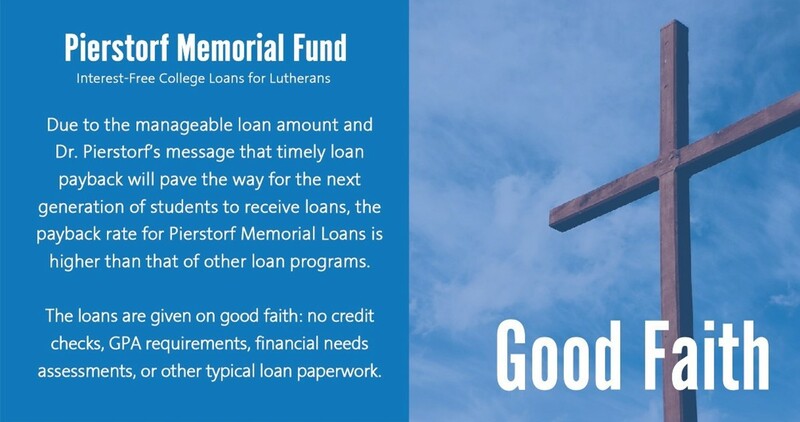 The Pierstorf Memorial Fund was established in 1994 to provide interest-free loans to eligible college students who are members of Lutheran churches in Ohio. 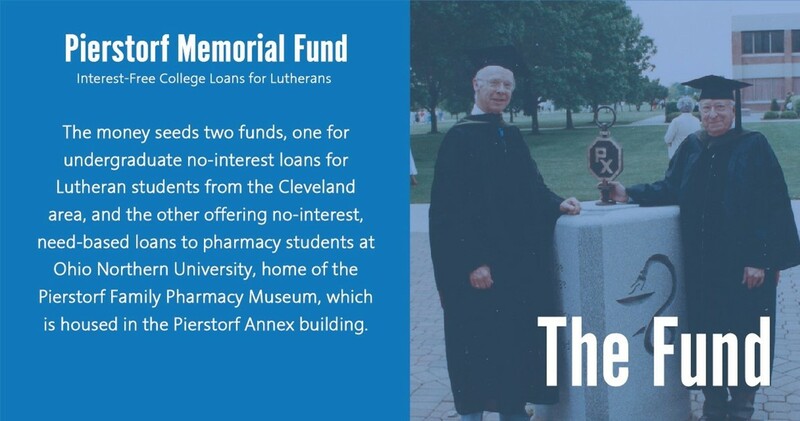 The Fund was initiated by Dr. Ervin Pierstorf and his beloved wife, Florence and in loving memory of his brother, Clarence. 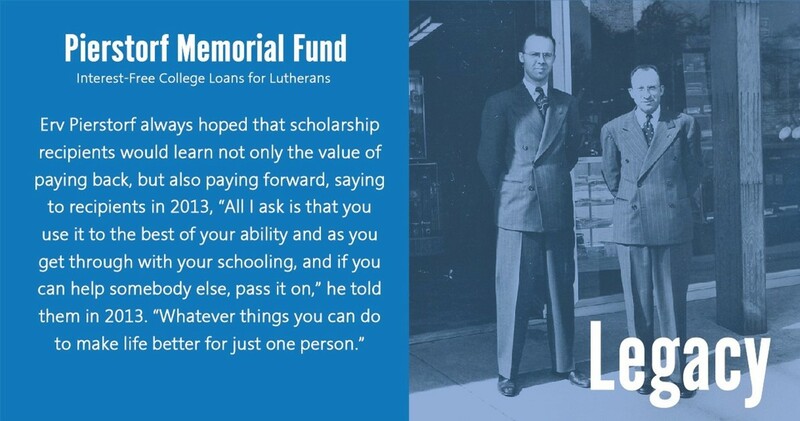 All three family members (now deceased) devoted themselves to helping young people receive a college education. 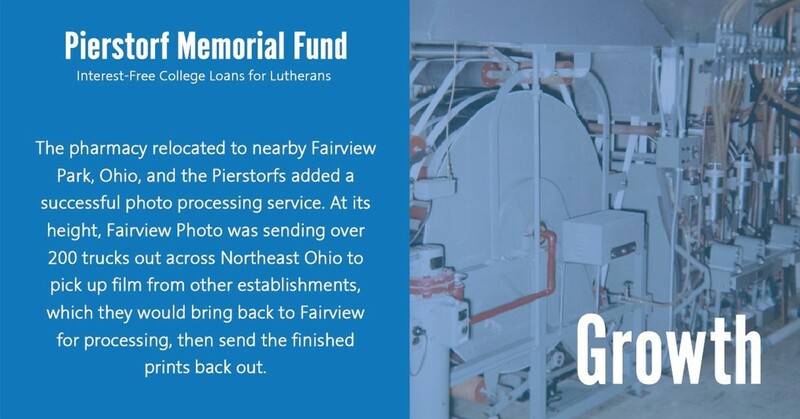 As life-long Lutherans and members of Messiah Lutheran Church in Fairview Park, the Pierstorf family chose to provide support funds for fellow Lutherans regardless of their synodical affiliation. 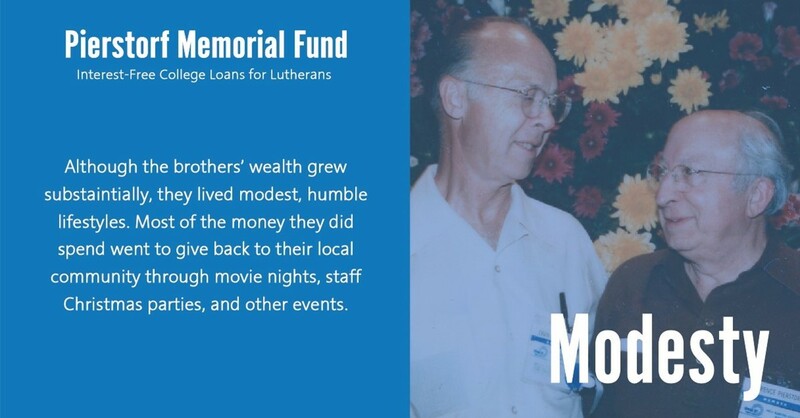 The family saw this as a wonderful way of serving others in the name of Christ. 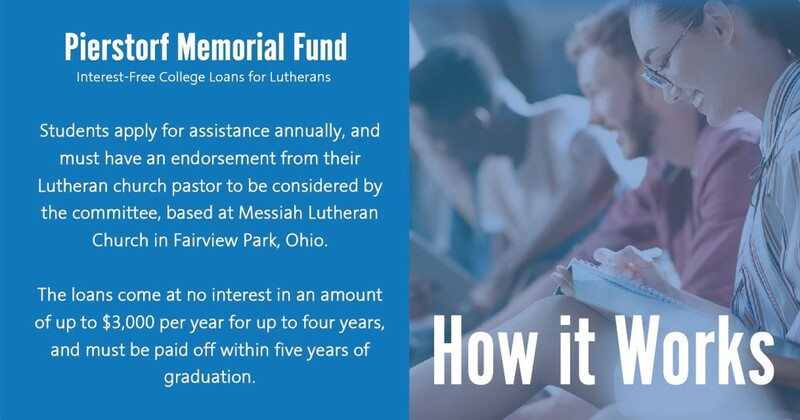 They subsequently initiated similar programs at Baldwin Wallace University and Ohio Northern University. 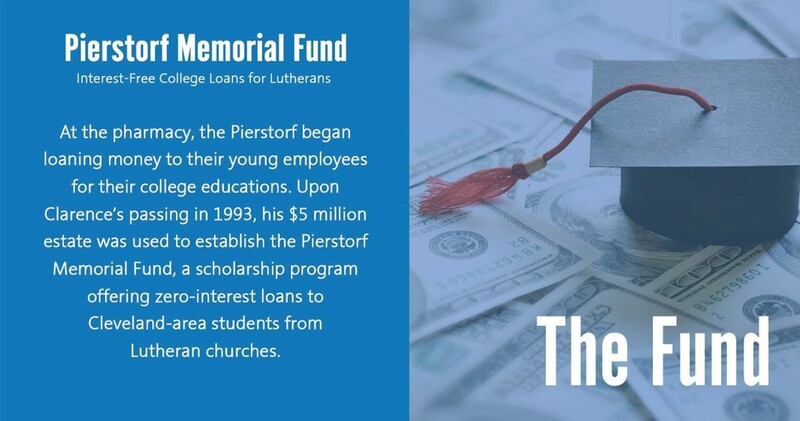 To date, The Pierstorf Memorial Fund has provided interest-free college loans to hundreds of deserving students. 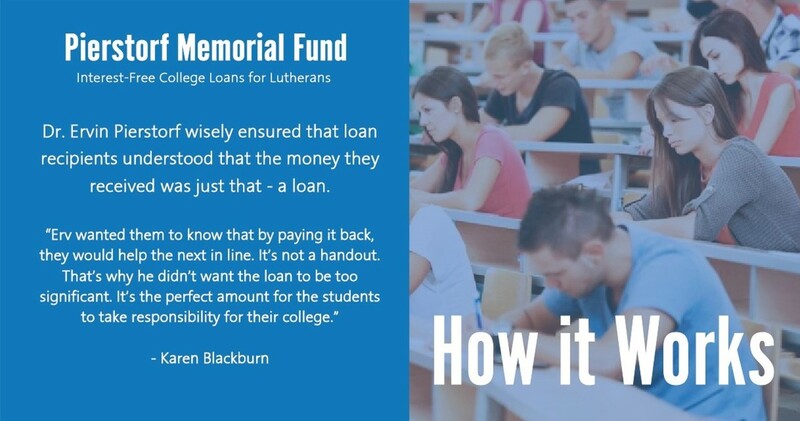 Students who are interested in applying for a Pierstorf Loan should review the criteria and application process here. 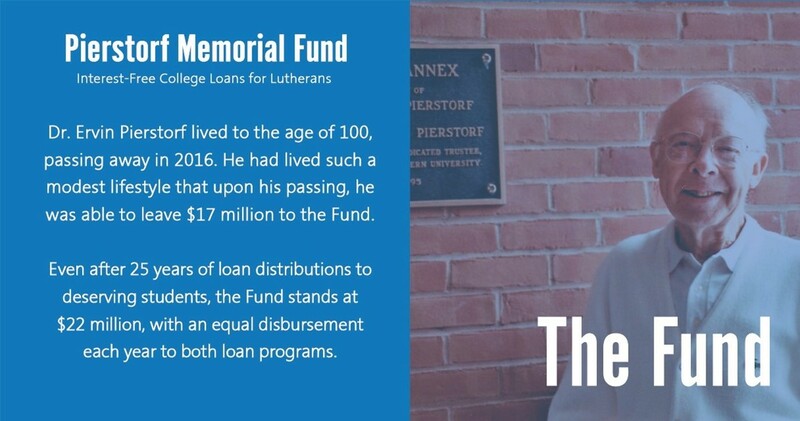 To learn more about the Pierstorf Memorial Fund, click through the slideshow above or download this presentation.